What would have made The Tao of Seneca better? Interesting voice actor but too difficult to listen to for long making this a book I'm struggling to finish our enjoy. I also don't like how Audible deleted all the earlier negative reviews . I regret blowing a credit on this book and felt my earlier review was fair. No problem with audio. Excellent content. The content is excellent. The audio problems mentioned in previous reviews appear to have been fixed. I did not notice any such problems. So if you are sitting the fence because of those reports (as I initially was), don't worry about it. What made the experience of listening to The Tao of Seneca the most enjoyable? The narrator, John Robinson, did a wonderful job. In a unique way, Robinson's reiteration portrays the voice and emotion of Seneca, which really helps the listener understand Seneca's message in each letter. Have you listened to any of John A. Robinson’s other performances before? How does this one compare? Absolutely. I will be buying the entire series and I am excited to share my experience with friends and family. As an attorney, I feel like I am above average when it comes to comprehension, especially when it comes to reading. There are times when I have a hard time reading Seneca's letters. 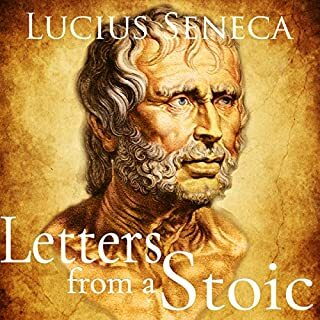 This audio book allowed me, as a student, to fully grasp and understand the meaning behind Seneca's letters. I struggle to listen to it! At faster speed is super distorted! Please remove the echo on key phrases at least! I couldn't follow the story the audio was so bad. Come on T Ferriss you're better than that. I recently bought this and I'm really enjoying the work. Not only because of the content, but also the way its set up. You can easily listen to a chapter of this book whenever you Find 10 minutes. What would make it even better was if the chapters had titles. F.e. 'Chapter 1: Saving time' instead of chapter 1. There are a lot of chapters and I like relisten some of them. Its easier to navigate the book this way imho. Outstanding messages that stand the test of time. But it seems a little more time in preparation would have helped the sound quality. It's such a silly thing to be upset about, get over it people, if you learned anything in this book it wouldn't bother you. I would give it a 4.79 stars if I could, just because I am not a perfect stoic. When I hear Seneca I think boring. I'd rather listen to a podcast, but I'm glad I bought this. The first letter is pretty long, the rest aren't like that. The other letters are short enough to listen one a day for 15 mins. The preface is a fun origin story. If you are in a high stress environment, in a high performance career or trying to attain a greater level of self-development, these ancient letters give good insight on the Stoic philosophy. 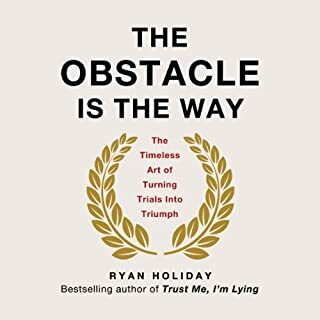 Well worth the 1 credit on audible, I preordered the other 2 as well. Yes I would recommend it. But I would recommend listening to the audiobook version first because the narrator's voice is quite difficult to listen to. What was one of the most memorable moments of The Tao of Seneca? Who might you have cast as narrator instead of John A. Robinson? 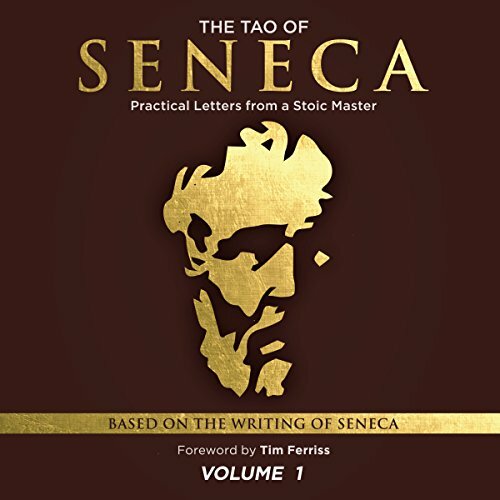 Was The Tao of Seneca worth the listening time? If the narrator was easier to listen to. Trial narrator's prior to going ahead. For me, John A. Robinson's voice really get's in the way. Stoicism - a 2000 year old breath of fresh air! Wise words written almost 2000 years ago and just as relevant today. There are life lessons here for everyone. Excellent narration. waffles a little at times and although I don't personally like a narator, I feel he needs more gravitas, it is still great advice to live to. 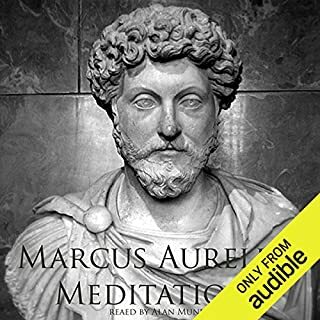 I would personally suggest meditations by Marcus Aurelius as a better choice if you have not yet read it. Much more engaging and immersive with a great performance by the narator. This book feels like stepping into a gym for the mind buth with a guide. "Life changer" for Tim means this is a top priority listen! Thanks for making this available Tim .. As your first reviewer, I'll accept that coffee (or special tequila) whenever you're ready .. 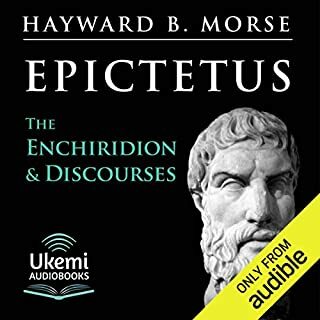 I adore this audiobook, it takes me completely out of this world or any situation and provides a powerful and actionable insight. It's wonderful. I'm now a third... or half way through. I'm not entirely sure since the chapters aren't titled and I sometimes lose my place. Thank you for creating this and providing access to such an essential piece of philosophy. An impatient reader, I don't think I'd have the same pleasure reading as hearing Seneca. For me, I found little nuggets of knowledge in almost every letter. 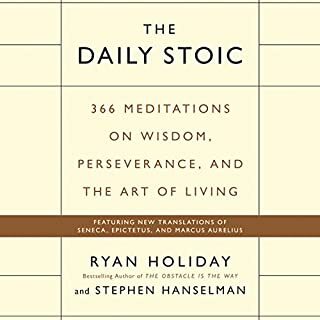 I have adopted some of these stoic practices in my day to day life and had already been practising a couple of them. 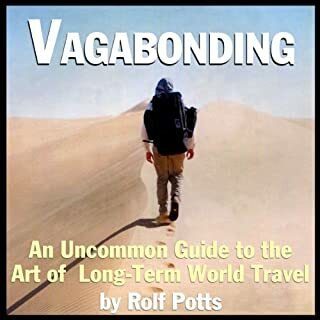 I have recommended this book/audiobook to many of friends and colleagues already. I am a big fan of the teachings of the stoics. I believe that many people could benefit by implementing some of these philosophies in their day to day lives. Note: I will expand this review when not on my iPhone.